When Microsoft decided to integrate Bing Search deeper within the Windows 8 OS, I thought I could get used to it. After all, I just needed to keep using the search pane rather than the dedicated app. But as I used it more and more, the strangest thing happened. I started to miss the Bing app. I liked having one dedicated app for searching. Much like the search button on my Windows Phone, I found it easy to use. But that went away. And honestly, I'm not a fan of having to sift through the multitude of results for whatever it is I'm looking for. As much as I grew to like Bing, I knew in my heart of hearts that I'd go back to Google sooner or later. With the Google Search app for Windows 8 and Windows RT, I'm glad I finally have. For me, the Google Search app picks up where the Bing app left off. And then it improves on it several times over. To get the most use out of the app, you'll need to sign in. From there, Google will continue to collect data on you, but it uses that data to tailor results for you. And, it allows you to use the most popular Google apps like Gmail, Drive, etc. 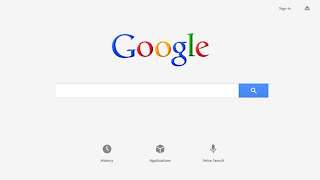 Another great feature is that all of the apps are contained within Google Search itself. Even launching the Blogger app stays within. That alone makes Google Search a great addition to my RT lineup. But the feature that blew me away was voice search. The app seamlessly connected with my machine's microphone and literally within seconds I was searching by voice alone. The app was clever enough to pick up on every word I was saying, including phrases like "What was the score of the Packers game?" And a majority of the search results will be narrated and give a little more info before clicking through a link. I love the voice command feature that Kinect allows me to use with the Xbox 360. And until Cortana arrives, I think Google may have filled a void I didn't think needed filling. 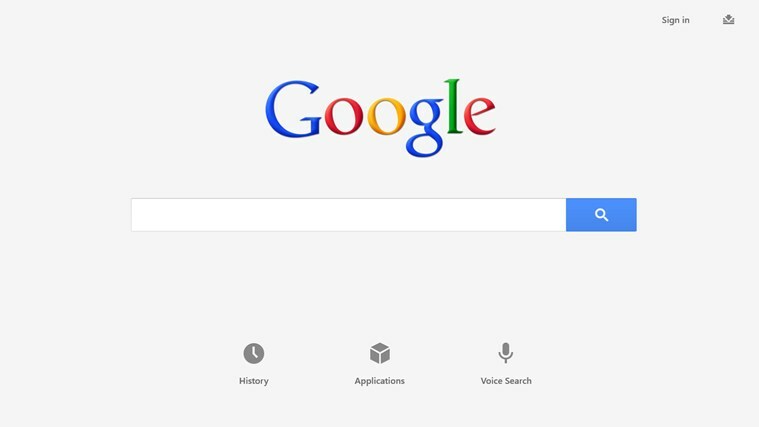 Google Search is a must have app for any Windows 8 or Windows RT user. Not only because of the general search feature, but because of the way it ties into the Google ecosystem and provides many of the tools in demand for both work and home. Do yourself a favor and download it now.